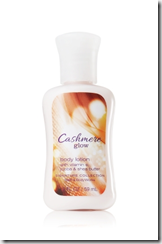 Click Bath & Body Works facebook page and click Get Offer link in that facebook page,then you will receive a email for Free Cashmere Glow body lotion 2oz. While supplies last. May not be combined with other offers, coupons or discounts. Not valid online or at Bath & Body Works Outlet stores. Glade Expressions Free at Target! Stride Gum : Free at Rite Aid!